I had a problem. While this problem might have not been earth-shattering per se, it was a problem nonetheless. You see, I suffered from a common condition called Schrunchyrugitis (at least that's the name name I just came up with). Before you throw up your hands and declare me a genius, let's talk... about rugs. I love rugs. I believe in rugs. When I got beautiful new carpet recently my mom told me NOT to put my rug over it. 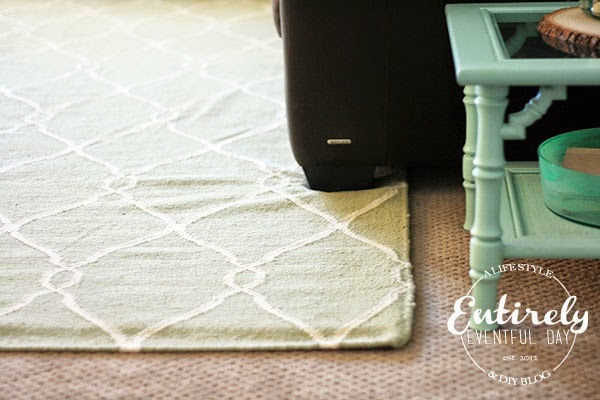 "Mom, rugs aren't for covering up ugly carpet, rugs are for bringing a room together, defining space, adding texture and color..."
I love this rug. It's huge. I love the color the pattern and even the fact that's it's flat woven. But I had a problem. I wish I would have taken before photos! 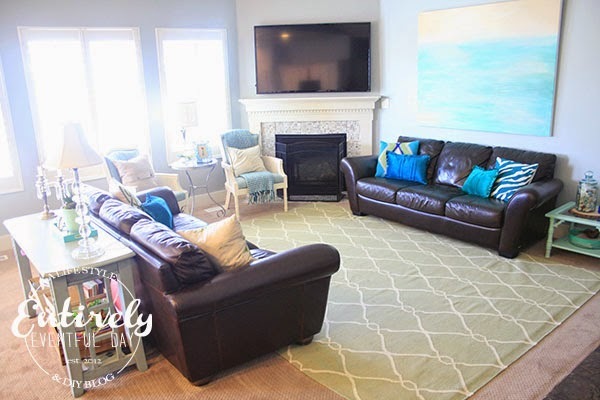 I was constantly having to lift up my couch to straighten out the rug. I don't think I'm being overly dramatic when I tell you that it was KILLING me. So when my friends over at Rug Pad Corner (see photo above, pun intended) offered to send me a rug pad to ease my troubled mind, I didn't think twice about taking them up on it. P.S. 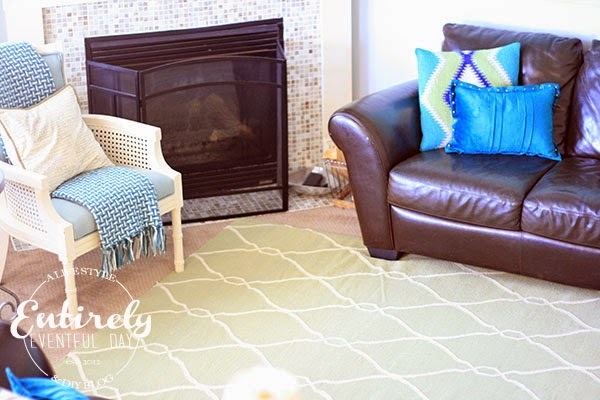 Rug Pad Corner would like to offer all you lovelies 15% off, use code REVIEW15 at checkout. 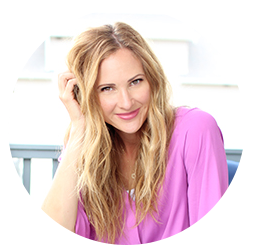 I also do not think I am being overly dramatic when I tell you that it has changed my life! 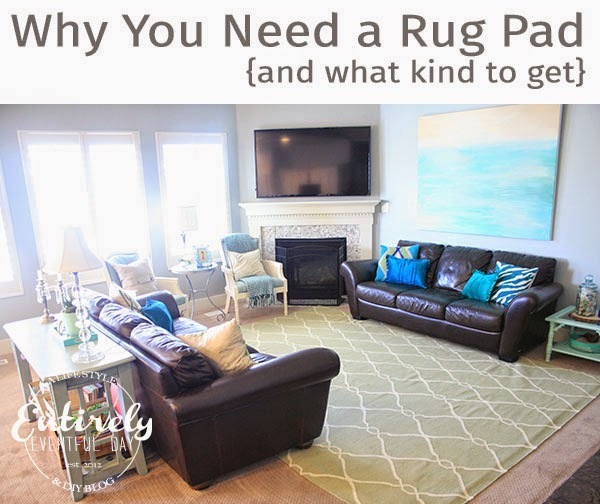 But what type of rug pad is right for you? Part of the reason I never owned a rug pad before what that I didn't know which kind to get. That's what I loved so much about Rug Pad Corner, they make it easy to know what kind of pad I needed. 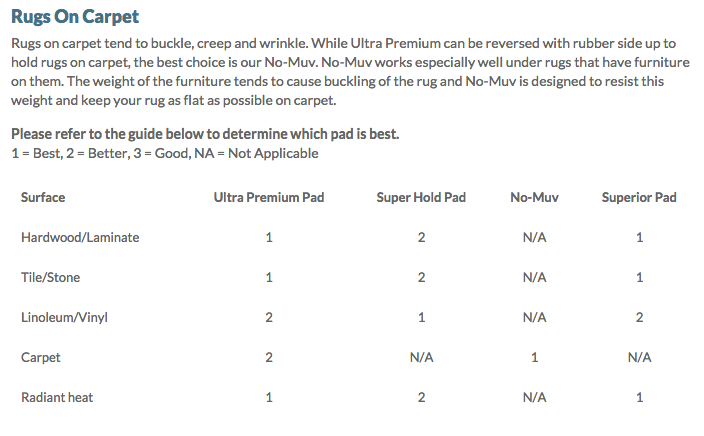 I quickly figured out that the NO-MUV rug pad was right for me. If you have an unusual shaped rug, they do custom cuts too. 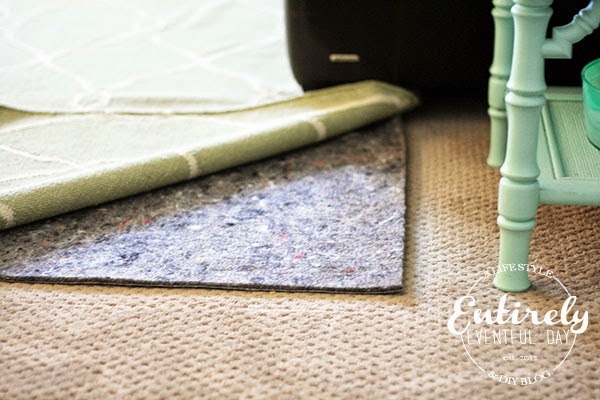 Check out their Rug Pad Buying Guide. It makes it ridiculously easy to figure out your best option! No more bunching and shifting. 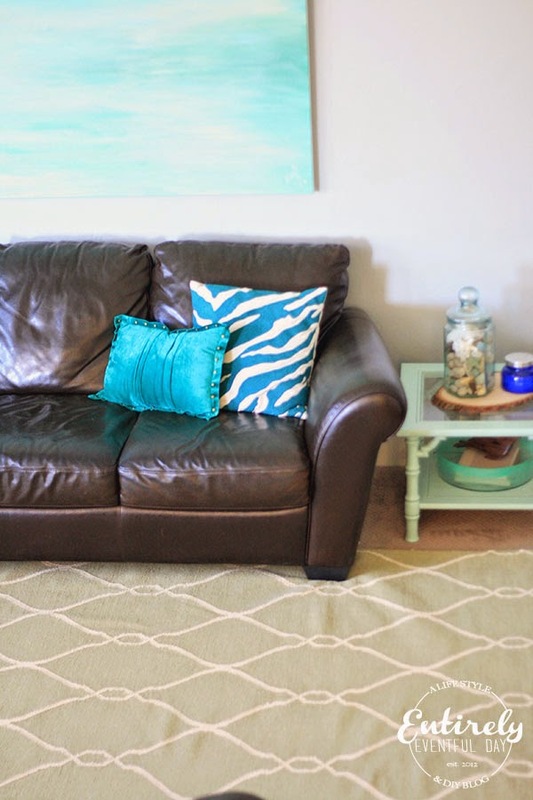 No more testing my strength by lifting my couch corners on a semi-daily basis. No more being seriously annoyed with my beloved rug. While my flat-woven rug doesn't lay perfectly flat due to a couple years on not owning a rug pad (what was I thinking?) all's well that ends well, right?